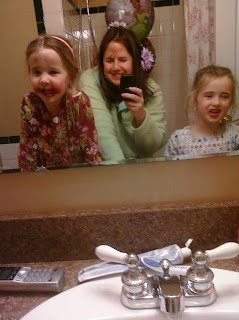 The girls did my make up and hair and theirs! Adorable kids! Thanks for stopping by my blog to enter my Pottery Barn Giveaway.